tity contained in the unit pack. f. Quantity Incorporated in Unit, Column 6 .
e. Quantity Required for Initial Operation. initial operation of the equipment. f. Quantity Required for 8 Hours Operation. in which the item is shown. reference the item in the illustration. nent application to facilitate reference. 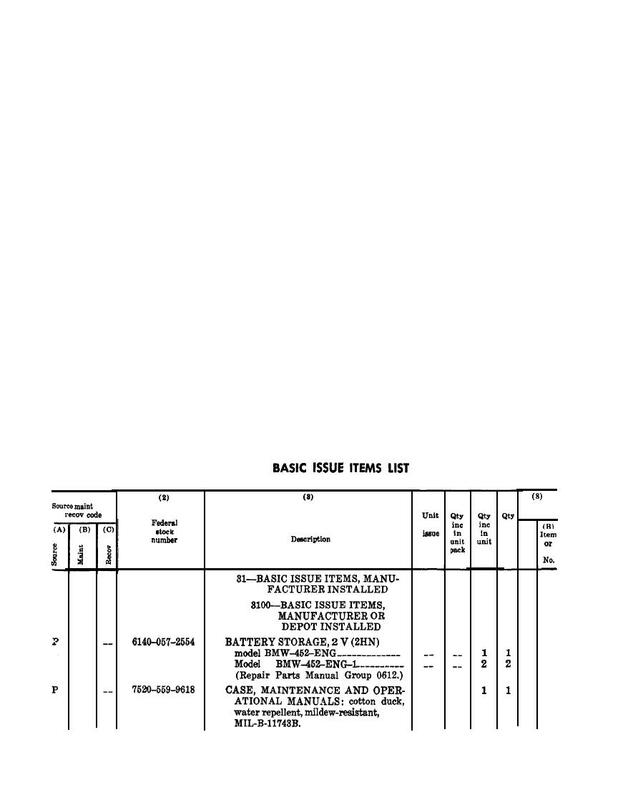 maintenance or operating supply item.